It may have been five-and-a-half-years ago, but Audley Harrison has not forgotten the devastating defeat he suffered at the hands of Deontay Wilder. 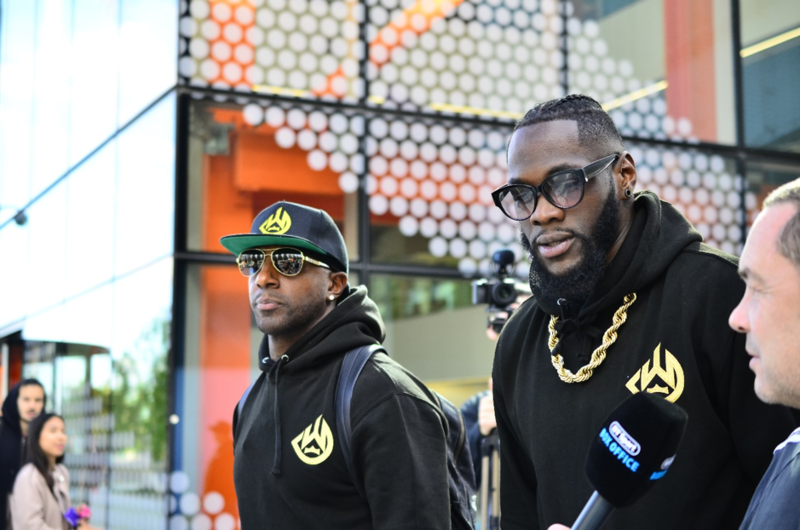 The Olympic gold medallist was well and truly humbled by Wilder when the two met at the Sheffield Arena in 2013, having being knocked down inside the first 70 seconds by the ‘Bronze Bomber’. A huge series of blows from the American saw him victorious via knockout for the 28thconsecutive fight, whilst Harrison hung up his gloves shortly after. On Saturday, Tyson Fury will have his chance against Wilder in what is the most eagerly anticipated fight of the year. Both fighters are undefeated and although Fury is regarded the biggest threat to Wilder’s WBA title, Harrison knows how hard it’ll be for the ‘Gypsy King’ to claim the belt for himself. “With Wilder, it’s not just that power but it’s the explosive speed that he has that can just send you to sleep,” Harrison told The Independent. “He’s very ungainly and it’s hard for you to close him down. I think Deontay Wilder is, at some point, going to catch Fury whereas I don’t think Fury can knock out Wilder. It’s fair to say that Harrison predicts a long night for Fury but it’ll be an exciting and intriguing battle between two of the world’s finest heavyweights. Currently, Wilder is 40-0 (39 KO’s) and many will be anticipating that record increases again in the early hours of Sunday morning. Renowned for his powerful hits and devastating blows, Wilder is certainly the favourite to beat Fury but he’ll have to bide his time against the Brit challenger; who himself will look to grind Wilder down. Wilder knows exactly what to expect from Fury and he’ll rely upon his full arsenal of weaponry to make sure that he remains undefeated. If he gives Fury even just a snippet of an opportunity, it could turn into a brawl which will in some ways suit Wilder, but at the same time it could expose him to Fury’s heavy punches. Does Fury have any hope? To put it quite simply, yes. It will be Fury’s toughest professional fight to date but he can call upon his strategy that worked so well against Wladimir Klitschko in Dusseldorf in 2015. Fury took the Ukrainian champion all the way and ultimately won on points, landing the WBA, WBO and IBO belts in the process after schooling his opponent for the entire fight. It’ll likely be Fury’s best chance of success on Saturday night, but he’ll need to demonstrate his true boxing abilities as well as the art of defence and discipline. Wilder is the favourite and is priced at 8/13 currently with Fury a tempting 7/5. Those who predict a draw can do so at 28’s. Individual round betting for Wilder v Furyis available alongside a whole host of other markets including: Exact winning method, what round will the fight end and will the fight go the distance, to name but a few. Although it looks a daunting task for Fury, another upset is on the cards and if an unlikely win is recorded, expect Harrison to be full of praise for his fellow Brit.